Today is the day, people. It's Cyber Monday, the one day every year after Thanksgiving and Black Friday when practically every retailer known to man unleashes crazy online-only sales for the deal-hungry hordes. Every year it seems to get bigger, and so every year it also gets a bit tougher to navigate through all the best bargains. Fortunately for you, we're doing the hard work this time and updating this page all day with the greatest deals on everything from TVs and laptops to workout gear and travel experiences. 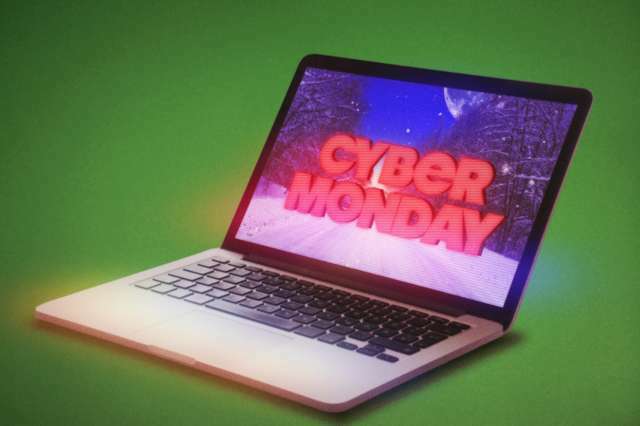 This year, analysts predict Cyber Monday will once again trounce Black Friday in terms of sales figures and that nearly 100 million people will be buying stuff. That shouldn't come as too much of a shock when you consider just how many items big-hitters like Amazon, Best Buy, Walmart, Target, and more are slashing prices on -- and with deals for free shipping. So, unsheathe your credit card, bookmark this page, and check back throughout the day for updates on the most worthwhile sales circulating on the web. Oh, and maybe grab some free food while you're at it. All that clicking can work up an appetite. Old Navy: 50% off everything, no exclusions, and a cozy sock gift with purchase. Lids: 35% off purchases of $40 or more as well as free ground shipping on all orders. Puma: 30% off (almost) everything using code PUMAMONDAY. J. Crew: 50% off everything. Topman and Topshop: 50% off selected styles. Banana Republic: 50% off everything. Bonobos: 35% off sitewide using code MONDAY. Cyber Monday isn't just for clothes and gadgets. Don't miss our list of the best Cyber Monday travel deals you can take advantage of right now.